Issues relating to mental illness and mental distress have been of particular interest and concern to Quakers throughout the history of the Religious Society of Friends. 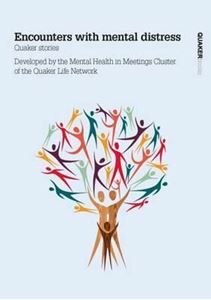 It became apparent that it would be helpful to learn more from Quakers about their personal experinces of mental ill health. Friends were invited to share their stories, whether postive or challenging. The result of this candid collection of encounters, responses and insights frm individuals, carers and meetings. We hope that it will increase understadning, reduce stigma and enable people to be more open, more compassionate and more accepting of those who are distressed or ill.
What if the facts on which we base our lives are shown to be unreliable?